The livestream for Mortal Kombat 11 confirmed the return of characters including Skarlet and Baraka. During the official livestream for Mortal Kombat 11, several characters were confirmed including Skarlet and Baraka. Offered as DLC in the 2011 Mortal Kombat game, fans were undoubtedly delighted upon learning that Skarlet will be available in the main character roster for Mortal Kombat 11. Skarlet’s appearance is noticeably different from when she appeared in 2011’s Mortal Kombat thanks to a different haircut and set of clothes. Of course, given Mortal Kombat 11’s expanded character customization options, gamers will likely be able to tweak Skarlet’s appearance based on personal preference. 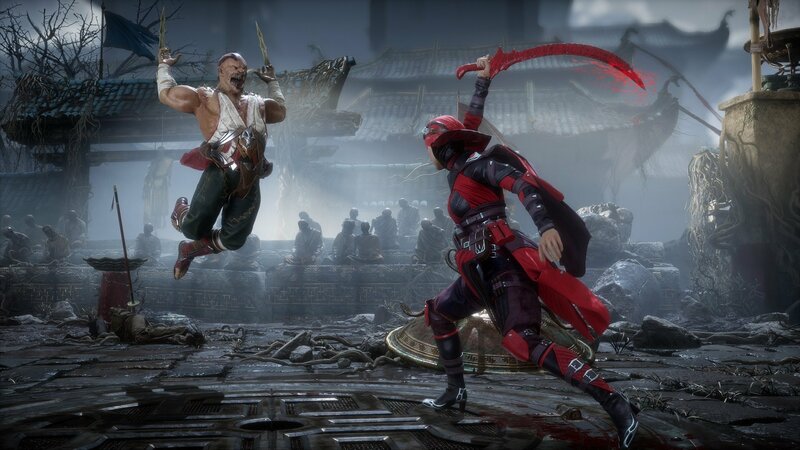 Skarlet and Baraka will both be available for play in Mortal Kombat 11. Alongside Skarlet, Baraka is also making a return in Mortal Kombat 11. Baraka first debuted in Mortal Kombat II, and unlike Skarlet, Baraka’s appearance in Mortal Kombat 11 feels similar to his original design. Updated are his fighting capabilities which seem to have been buffed. In the past, previous versions of Baraka lacked special attacks conducive to movement, resulting in him being a limited use character. After watching Baraka’s moves displayed in the livestream reveal, he definitely feels like he’ll be more versatile in Mortal Kombat 11. If you want to try Baraka and Skarlet out for yourself, you can pre-order the Kollector’s Edition of Mortal Kombat 11 for PlayStation 4 or Xbox One to gain access to the closed beta on March 28. Alternatively, Mortal Kombat 11 will be available across all platforms on April 23. Until then, what do you think of the design for Skarlet and Baraka in Mortal Kombat 11? Do you like Skarlet’s new look, or are you more interested in experimenting with Baraka’s new fighting capabilities? Let us know down in the comments below! For more on Mortal Kombat 11, be sure to check out some of our previous features including our Mortal Kombat 11 livestream recap, and the full list of confirmed characters available in Mortal Kombat 11.